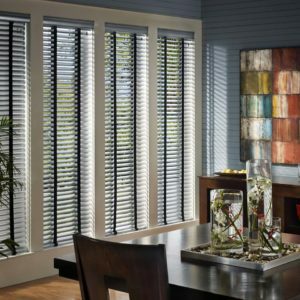 Pioneer Window Fashions offers Tableaux® decorative grilles (faux wrought iron) products. 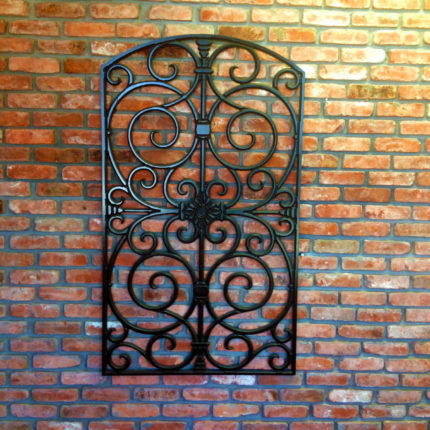 Decorative grilles are made of faux wrought iron, which is a customizable, lightweight (10 percent of the weight of iron) design product. If you’re looking for modern European classic, romantic Mediterranean, contemporary geometric designs or others, using faux wrought iron is a great way to beautify your home at a reasonable cost. 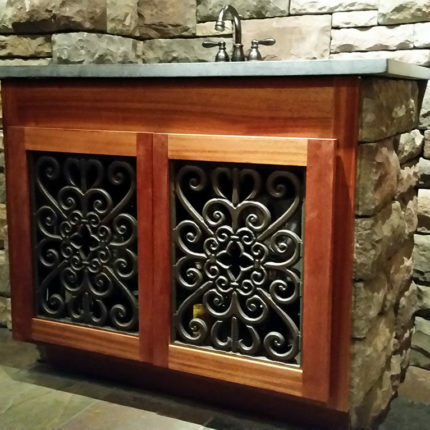 Compare the price and ease of customizing faux iron to custom ironwork projects requiring precise shapes, dimensions and design specifications and see the true value of Tableaux. The typical ornamental or decorative design characteristics of iron can be enriched with increased design flexibility. We can adapt to any design concept or incorporate personalized custom designs. 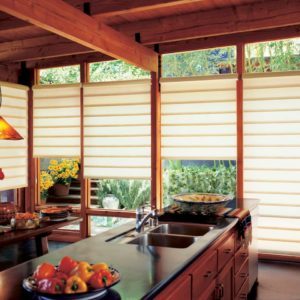 We also offer Tableaux Veneer, which provides a warm and inviting feeling using an organic wood-grain texture with limitless design options and finishes. 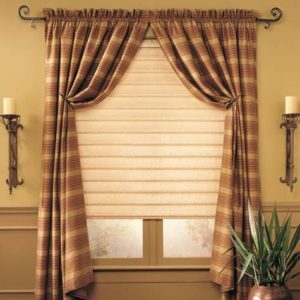 Faux wrought iron can be used in a variety of window treatment and window covering applications, such as transoms, sidelights, odd-shaped windows, valances, cornices, skylights and more. Decorative medallions would look fantastic over chandeliers or ceiling fans. We can also provide ceiling inserts, a full-ceiling treatment or skylight inserts. 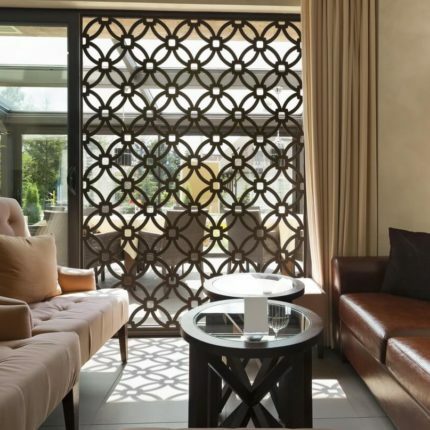 The lightweight material of faux iron decorative grilles allows for these installations and can be made in one piece or split pieces to accommodate any install requirements. 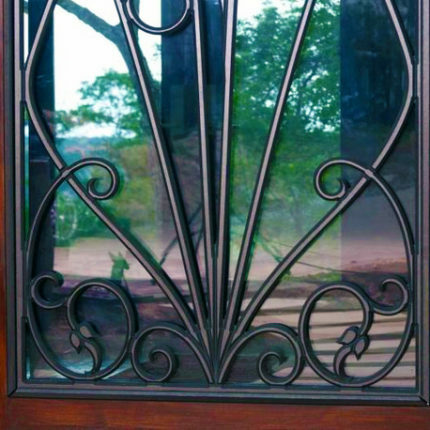 Using a decorative grille can turn an ordinary, plain-Jane door into a stunning display of ornamental ironwork. 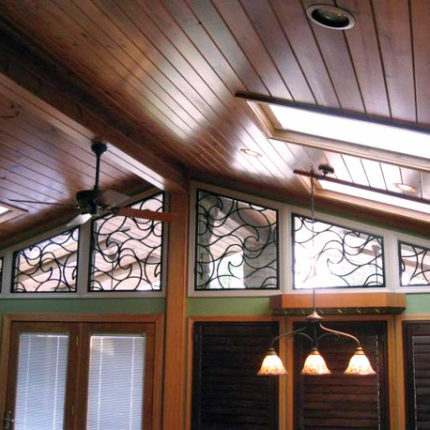 If you want to use faux iron paired with glass panels, you can! 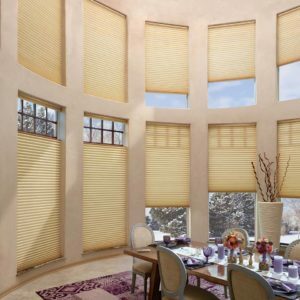 Tableaux offers a special material (Tableaux IG) used in between glass panels as insulated glass. For archways or doorways, we can fit faux iron exactly to the frame and can transform properties (such as arching a rectangular frame). Tableaux faux iron is made from water, termite and rot-resistant material, is lightweight, easy to install and maintain, and highly customizable. The iron makes a great facade for residential and commercial buildings. Want to beautify your trellis, fence top, or accent brackets? No problem. Check out our FAQ for additional answers covering a range of faux iron questions!